- Defender’s HD 1080p wide angle view means that you can see license plates, faces and cars in exceptional detail. 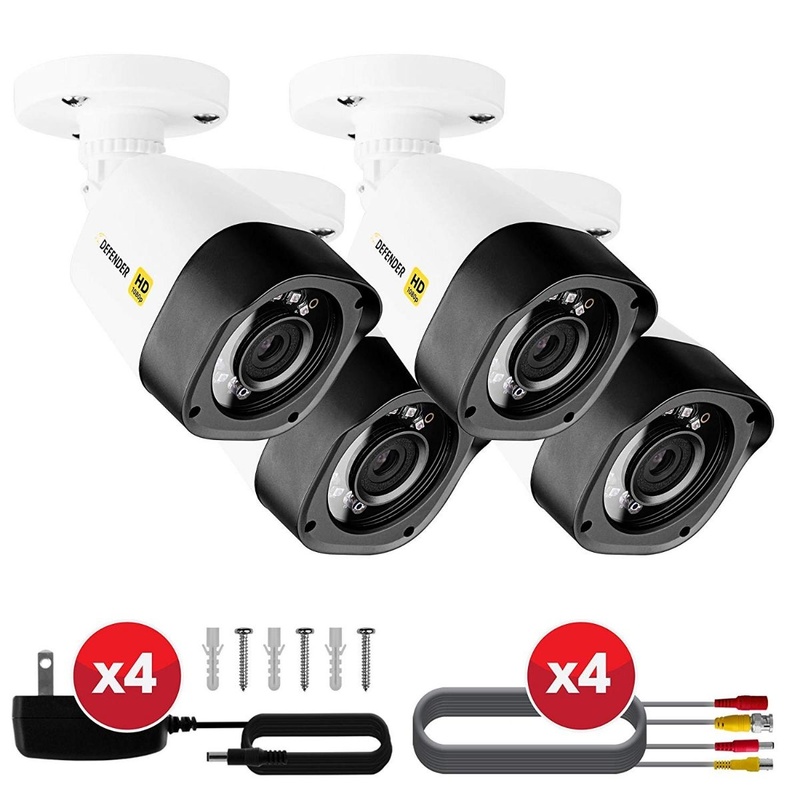 - Connect these cameras to your Defender HD DVR and experience live or recorded video from your desktop, TV or mobile device. - Hassle free setup with color coded wiring. - These HD 1080p bullet cameras are made of ultra lightweight polycarbonate resin, built to protect against vandals. IP66 rated for dust and heavy rainfall protection. - Up to 130ft of night vision in ambient light and 100ft in total darkness.